With the intended change from 8-BA to 7-BA threaded valve stems, the 1⁄16″ thick valve-spring locknut would contain only a little over 3 threads. Fortunately, the slightly larger hole in the tappet means there is comfortably room for a shoulder to extend inside it. With an overall thickness increased to 3⁄32″ it allows just under 5 threads, a lot better. 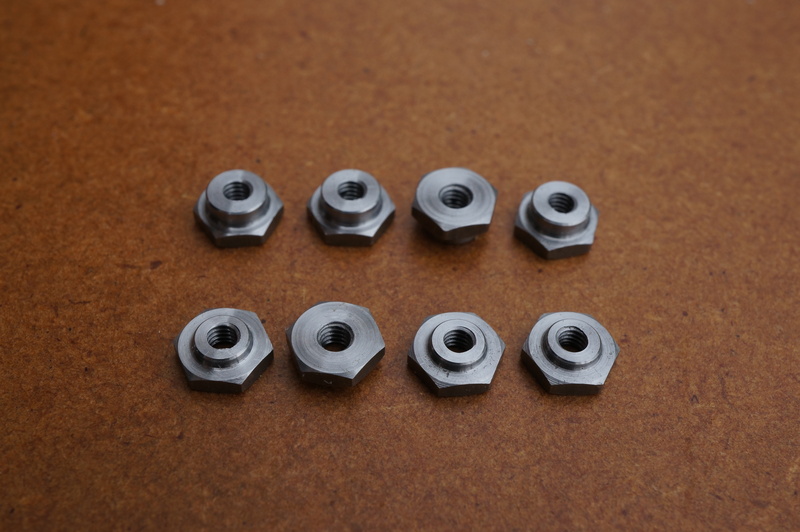 I used 4-BA hexagon stock for the nuts, nominally 0.002″ less than the originally specified ¼″ A/F. 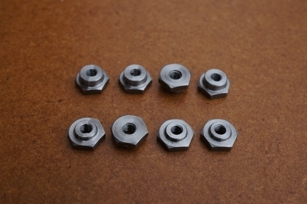 Firstly, I first-op turned the two remaining thick nuts and four locknuts. For the tapping operation I felt the mandrel handle would be too insensitive for this job so instead I used a carrier to turn the tap, with its shank loosely held in the tailstock chuck. 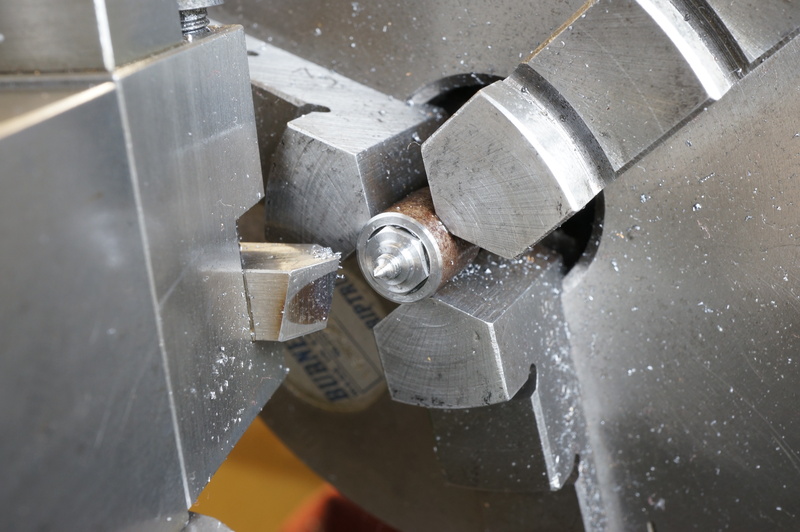 Simply mounting the nuts on the threaded mandrel against a face would probably not give the concentricity I wanted so turned a shallow recess on the end of a stub of bar to a diameter to just accept the nut corners. I drilled and tapped the stub to accept the 7-BA stud. A length of stainless steel is provided in the kit for the valves. I have increased the stem diameter a few thou from 3⁄32″ to 2.5mm. 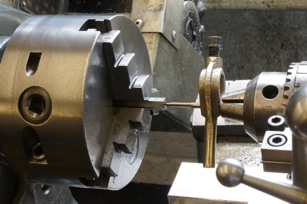 This allows the threaded end to be made 7-BA rather than 8-BA, giving a 70% increase in core area of the thread. I have also made them a little longer than original design to allow for the longer thread length in the locknuts and for a male centre at the end of the stem.